Women's Appreciation Series Presents Wanda Simmons! Women’s Appreciation Series Presents Wanda Simmons! 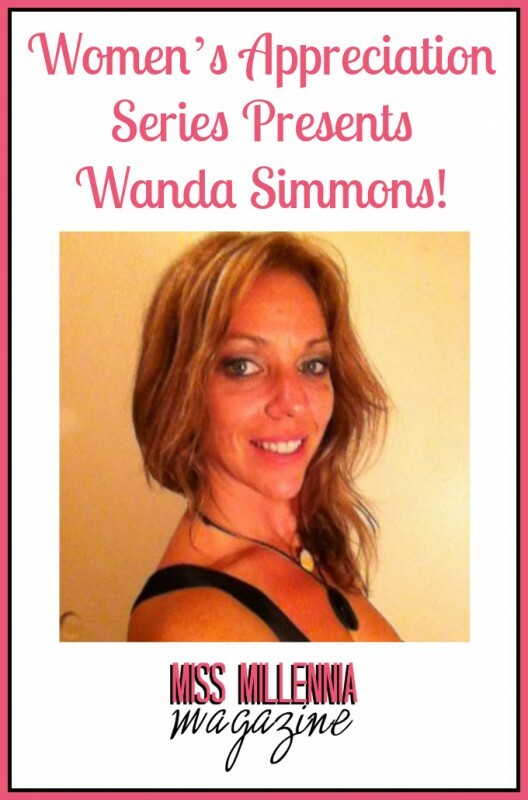 Wanda Simmons is a licensed acupuncturist in Connecticut and Hawaii as well as an Instructor in Martial Arts. She moved to Hawaii in 2010 to follow her life long dream of calling Kauai her home. Last year, she returned from Kauai due to the progression of her mother’s health concerns. Since then, her mother has made a big turn around and she is residing in Connecticut. In July 2013, she will be opening a Hawaiian Healing & Meditation center which will offer Aloha-inspired women’s community gatherings, higher consciousness meditation, drumming, art and deep alternative healing therapies for those deepening their connection with self. Local Hawaiian-made and aloha-inspired crafts along with local artist’s work will be available for purchase in her store. Hopefully if all goes well, they will also offer physical activities like SUP lessons, kayak and hiking and camping events as well. In August she will return to her home in Kauai and run some jungle soul journey retreats and resume working with professional athletes. In 2014 Wanda will be traveling the world offering retreat workshops focused on Awakening one’s heart. When she’s not teaching, leading a retreat or working with a patient, Wanda can usually be found in the ocean surfing snorkeling or swimming, or in the mountains hiking and camping, always on the move and always aiming high. What inspired you to pursue a life of healing and guidance through your programs out of Kauai? In short, divine guidance, intuition, messages from others, family, extended family and friends, patients, widespread support network and Kauai herself have all had a part in inspiring me to pursue a life offering Ahonui Pathways. When my journey began, I was none the wiser as I truly believed it was my connection to Kauai that inspired me, but today I now know with great clarity that I was being divinely guided. From the time I was a young girl I dreamt of living in Hawaii. My mom encouraged me to follow this dream. I began planning my journey in my late teens. I finally made it to Kauai in my mid 20’s. As soon as I walked off the plane, I had a sense of being at home and by the time I watched Kauai disappearing from my airplane window on my departure, I knew that I would return again one day. From that point forward, my journey took many twists and turns until the day I decided to change professions from banking and mortgage to healing through Chinese Medicine. In 2003, while learning Chinese medicine, I founded Ahonui Healing on the basis of the Hawaiian word Ahonui. Ahonui means “patience through perseverance.” I found this through an article written by Serge Kahili King. From that point on, I knew I would move to Kauai and offer healing with a focus on the individual as a whole. In 2007, I decided to wait five more years before moving to Kauai, as I wanted to deepen my internal arts and Chinese medicine skills before making the journey. However, in 2010, many signs kept presenting that it was time to move to Kauai. And, like most, I needed to have these signs practically hit me over the head before I felt ready to “give in” to my own self and “go with it”. Finally, in March 2010 I ventured out to Kauai for the second time since my visit in the 90’s. I went alone in search of other signs to make sure it was in fact, time for me to move. After returning to Connecticut and sharing with my family, friends and patients that I would be moving to Kauai, I took a trip to South Lake Tahoe where I found myself in a really bad car accident with head trauma that put an immediate stop to my Chinese medicine healing and martial arts training. I slowly stopped working and teaching all while pursuing my move to Kauai. That car accident ended up being a blessing in disguise because as I moved my home to Kauai, I actually had to take a break from working and helping others. All attention was placed on my post-concussion syndrome and I searched high and low for all sorts of alternative healers to support me in my recovery. While working with varied healers, I was able to witness firsthand, the magical beauty of spiritual healing art forms. From there, my skills as a healer, and empathic intuitive advanced at lightning speed. 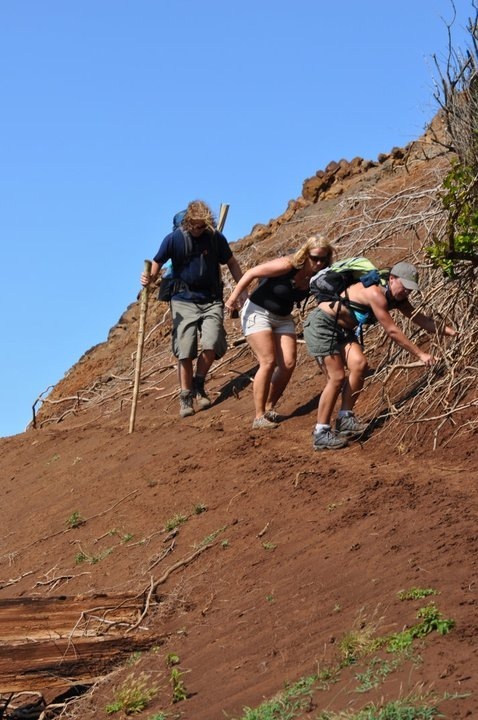 I began having visions of the types of nature journeys that people would want to experience for their own and so I offered these ideas to some of my patients, and a few of them made their way out to Kauai where I introduced them to the pure natural beauty of Kauai through hikes and one-on-one intuitive sessions all while referring my patients to other healers so they could experience a taste of the different paths available. From there I learned that everyone is on a journey and we all need guidance as well as options to help us peel back layers and go deeper and deeper so our true soul may emerge fully. Much guidance has been provided to me on my own journey which has presented in many forms such as messages, signs from above, animal totems, spoken word from intuitive / shamanic healers, along with my own prayers and meditations bringing forth great clarity. My founding vision of Ahonui Healing has evolved and transformed into Ahonui Pathways…soul connection for life direction. This new vision recognizes that regardless of where a person is at on their own personal journey of self, Ahonui Pathways offers a myriad of paths through individualized adventures, healing sessions, tribal ceremonial gatherings, and predesigned workshop retreats, all to help in the emergence and connection of one’s soul. Is there special person in your life that has helped you on your journey to reaching your dreams? I would be remised if I didn’t acknowledge my sisters, brother, nephews, adopted nieces, extended ohana (family) and closest friends, my love, the universe, heavenly guides and answered prayers as well, for they are the ones who make up my extended support network and for them, I am truly grateful as well. Connecticut and Hawaii are two very different places, how do you find a balance? Kauai is like a nurturing mother to me. When my cup needs filling, I immerse myself in her arms and feel the pure support extended to me and others who are lucky enough to witness her in person. Mainland USA, specifically the East Coast is a higher paced environment in which much focus is placed on thinking and doing. My daily practice of meditation and internal arts connection exercises help me to remain grounded as I adapt to the area in which I am visiting. I am open to possibilities and connected between heaven and earth, all while being free to go with the flow of what my life’s journey has to offer. When you became an acupuncturist, did you know your career would progress the way it has? When I became an acupuncturist in 2007, I had no idea my career would progress the way it has. If someone had told me I would be doing the things I’m doing now, such has distant meditation healing and drumming under the full moon, I would have told them they were crazy. As life would have it, my career has progressed in fine timing with my own personal growth and expansion. I know now that there are no limits to what one may do in their career or personal lives. Everything in life revolves around intention, connection and openness. I’ve been told by a number of people that I would have a couple of children, write a famous book that would inspire many people, make all natural healing medicinals and travel the world helping large masses of people. I’ve laughed as I’ve been told these things. When I moved to Kauai in 2010, I downsized, evolving from home ownership, to apartment life, to owning nothing but the clothes on my back, surfboard in tow, with a few Chinese medicinal supplies to help me with making a living. Today, several years after my move to Kauai, I find myself reestablishing roots in Connecticut, connecting with people all over the world, working on a book, while bringing my ideas for soul connection to a more cohesive career understanding if you will. Where will my career progress from here? The sky is the limit so only time will tell. How does being a Martial Arts instructor coincide with your healing processes? Being a Martial Arts instructor has been key to my healing process in bringing balance to my physical, mental and emotional bodies all while affording me the ability and knowledge to help others in their own journey of healing. On a physical level, my internal martial art connection exercises help my energy and blood circulation to flow freely, allowing my upper and lower body to move in tandem as one unit, keeping my structural alignment connected all while being free from blockages. On a mental level, my practices allows my mind to be calm during times of chaos, giving me the ability to see clear and act in accordance to my higher power all while being able to access a situation, anticipating change in any given moment. On a spiritual level, I have been able to connect with my internal coiled energy (kundalini/Shakti/spiraled energy/ qi force/mana). All of which have the same meaning: internal divine, powerful energy. This allows me to connect with myself and others on a deeper level, acquiring clear messages for healing and soul journey emergence. If someone was hesitant to try your methods, where would you tell them to start? When trying anything, it’s important to see which resonates with our inner-being. Fear is something we’ve been programmed to feel when trying something new. Love is opposite of fear. So, if we are able to take a moment and check in with our inner self to see if ‘fear’ actually exists, we find that it really doesn’t, and we see our spirit wanting to try something new. We will only gravitate to that which we need. Meditating or finding a place of serenity helps us to see if something is meant for us. What I’ve found is that when someone reaches out to me, it’s usually because they are ready for soul connection. Our initial conversation helps determine the person’s needs and wants. After this initial step, I often meditate to find a path most suitable for the individual while advising the person to meditate as well. Once the initial conversation and meditation are complete, it becomes quite apparent what method is most compatible. For some that may mean a simple healing session while for others it could mean a tribal gathering. Yet others may want to take part in a retreat workshop and then there are those who are ready and able to jump all the way in and try out everything. Regardless, everything always happens as it should. 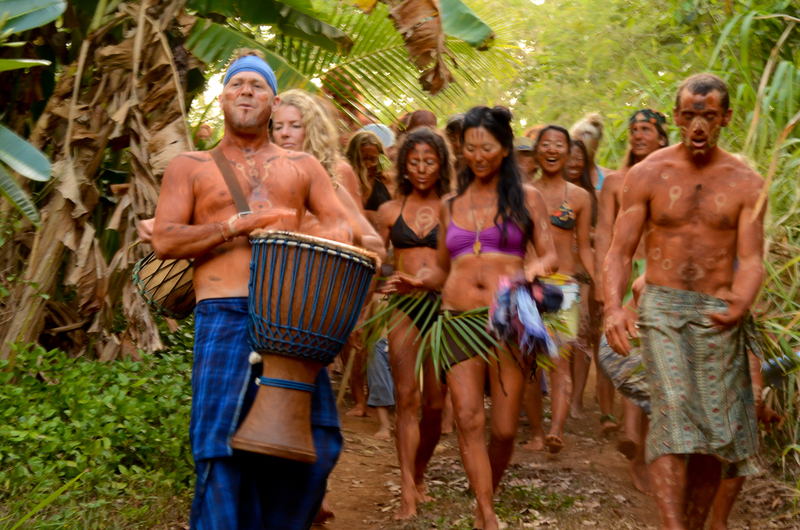 What does one of your jungle soul journey retreats entail? The Jungle Soul Journey is a path offered through our Ahonui Adventures division and is an exploration of the soul from a most adventurous point possible. Those who have taken part have said our jungle journey is like boot camp for the soul, building a foundation that brings forth positive life direction. In the Jungle Soul Journey, I work with the beauty, solitude and magical spirit of the land to blend it into the intended search for self. This is the secret ingredient that sets Ahonui Adventures apart from a regular guided tour. This journey is designed for the most adventurous of heart as it entails miles of hiking to a jungle, far away from technology and civilization, where the most optimal backdrop is set so that deep connection with soul may be accomplished. The participant connects within on a level that brings in all aspects of their soul, merging body, mind and spirit as one. For those ready and willing, they are inspired and challenged. They learn to connect with soul, dreams, imagination and most importantly, their true and amazing wonderful self. I am with the participant every step of the way, offering guidance and wisdom to assist in witnessing the unfolding of their own journey. This means a hands-on, one-on-one commitment to the participant and their spiritual growth. When the jungle soul journey comes to a conclusion, each person learns there are no limits to where life’s path may lead. The person goes away with tools necessary to progress their journey to a level not measureable by language, only through experiential life growth. The person who chooses to embark on a jungle soul journey will find their investment in self will bring forth many valuable gifts and returns to last a lifetime. For me, I feel honored each time I’m asked to take part in, and witness of, this beautiful type of journey. Was this always your dream, to help others through healing and meditation? My dream has always been to help others. Although I had no idea how that would unfold, I always knew I would be a teacher, a healer and a mommy. When I was younger, I could not grasp the importance of meditation and I certainly didn’t know how to slow my mind down enough to sit still and actually meditate. It wasn’t until one of my patients asked me to pray for her newborn that had to be in ICU that I truly understood the benefit of meditation. At her request, I prayed, fasted, meditated and even went to a group meditation. It was during this 45 minute group meditation that I learned the ability to connect with another’s spirit, as I ended up choking during meditation. I thought I was choking because of my own inability to meditate. Later I learned I was choking because my patient’s baby’s lungs were not fully developed. He came out of ICU later that evening and is currently embarking on his sweet life journey. What is the hardest part of your start up for your Hawaiian Healing and Meditation center? The hardest part for me in starting up my retreat business in Kauai was not being privy to all the fine details. In birthing a new idea or thought formed in meditation, the planning unfolds organically and this means being patient (Ahonui) with myself and those who are supporting me in following my dream. What advice do you have for young females trying to find their own calling and place in the world? The advice I would offer to any young female trying to find her own calling and place in the world is: Malama Na’Au. Ahonui imi e ola o ho’ a kua mana o pu’u wai. Translation: Pay close attention to your center of knowing. Use patience in your search for healing, of divine power found within your heart. Follow your heart. Take the time to get to know who you really are and learn what it is that you really want. When you discover your dreams, share them and your intentions with the universe. Have faith and believe in you. Let it go and know you will be supported in your journey. Give thanks to your higher self, divine love and those within your life. Once you see you have a place in the world, the world is at your fingertips supporting you every step of the way. Aloha to you. May you be divinely supported on your journey. Check out Wanda’s Website and find out more about her amazing journeys and her beautiful life in Kauai!